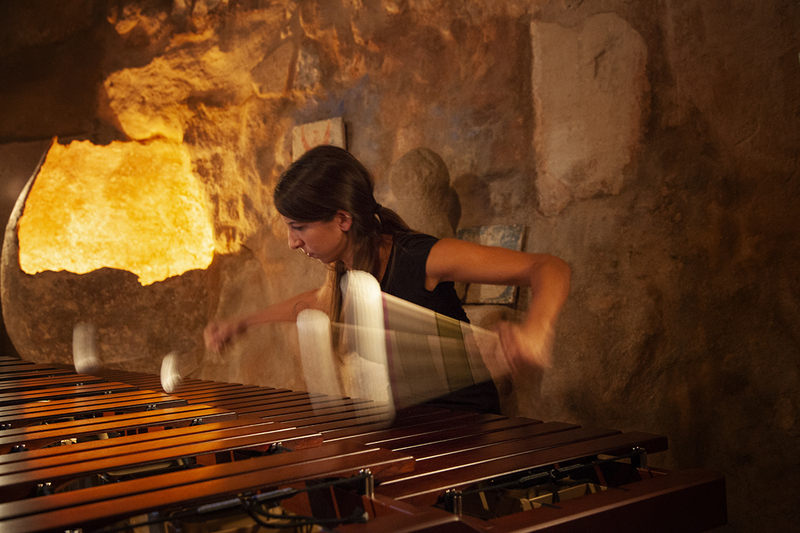 Carlota Cáceres is a versatile percussionist specializing in the commissioning of new works and the performance of solo and chamber music from the contemporary repertoire.Originally from Badajoz, Carlota graduated with honors in percussion from the Conservatori Superior de les Illes Balears. She received her Master’s of Music in performance from the Hochschule für Musik-Basel with financial support from Sa Nostra and the BBVA Foundation. She won first and second prize in Kiefer Hablitzel Stiftung Wettbewerb competition and third prize in Förderpreis der BOG für Junge Musikerinnen. Carlota participated in Tromp Percussion Eindhoven, ARD- Musikwettbewerb and received an educational grant from Foundation Nicati de Luze. Carlota is a founding member of TAMGRAM TRIO and ZAUM_percussion and performs with Zone Experimentale and Nou Ensemble, focusing on the development of new music and new concepts. She has performed at the Ensemble Akademie Freiburg, Darmstadt Ferienkurse für Neue Musik, Manifeste, Ojai Music Festival, ZeitRäume Basel, Lucerne Festival, Milano Musica, Davos Festival, Huddersfield Contemporary Music Festival, Festival de Música de la Mancha, Festival Carmelo Bernaola, Ensems, Mixtur, Festival de Música Contemporánea de Alicante, the Young Euro Classic Festival, XIX Cumbre Iberoamericana de Jefes de Estado y de Gobierno and the Festival Internacional de Música Contemporánea de Gijón. 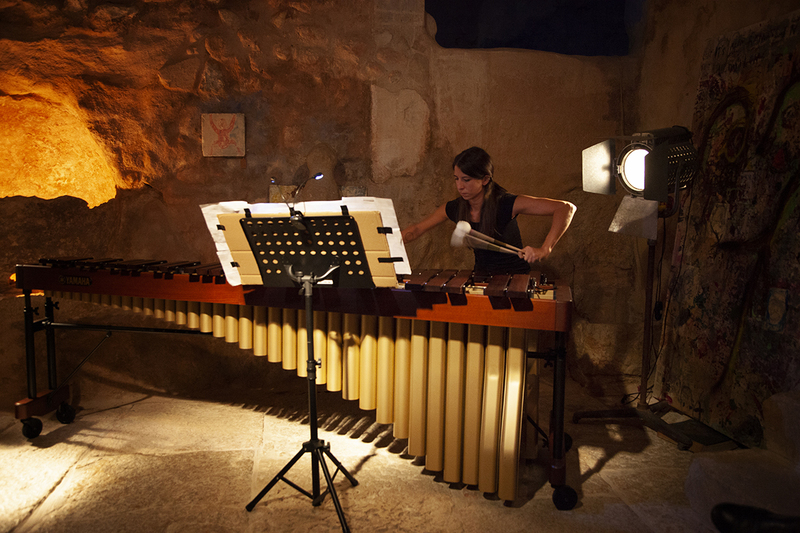 Carlota has performed in master classes for Benôit Cambreling, Pedro Carneiro, Christof Caskel, Raymond Curfs, Lorenzo Ferrándiz, Françoise Rivalland, Gaston Sylvestre, Jean Geoffroy, Isao Nakamura, Eric Sammut, Rainer Seegers and Nick Woud. She has performed with the Ibero-American Youth Orchestra under Maestro Gustavo Dudamel, the Spanish National Youth Orchestra, OJEX, OFIL and SYOA, Neopercusión, the La Jolla Symphony and Chorus, and as an extra with the Orquesta de Extremadura, OSCyL, OSCO, the Balearic Symphony Orchestra and the Freiburger Barockorchester, Sinfonieorchester Basel (where she was an academist from 2012-2013), the Gstaad Festival Orchestra and Kammerorchester Basel. She participated as well at Lucerne Festival Academy under Maestro Sir Simon Rattle and Matthias Pintscher. Carlota has studied with Juanjo Guillem, Armando Lorente, Philippe Spiesser and Christian Dierstein. She studied with Steve Schick and performed with red fish blue fish as a visiting scholar at the University of California, San Diego. Currently, she lives in Palma de Mallorca where she is associated professor at Conservatori Superior de les Illes Balears. She finished in 2016 her second master in Hochschule für Musik Basel specialized in contemporary chamber music.